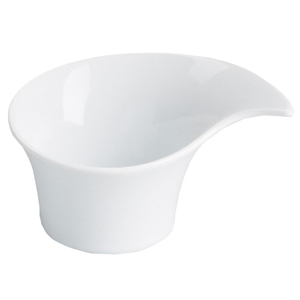 The Moonlight Swirl Ramekin is the sophisticated approach to serving dips, sauces or condiments. With a unique swirled design made from porcelain, these dip dishes are the definition of elegance. For the perfect table presentation, serve a variety of condiments in these sauce ramekins for the ultimate dining display.